Go here to see an easier way to do push-ups. Once you come all the down pause for 3 seconds before pushing yourself back up. Take a very sturdy bar and place it between two chairs at waist height. You may not have a sturdy enough bar to do this exercise at home. A broomstick may not be strong enough to support your weight. If you can't find a sturdy enough bar to this exercise on, Please skip. Complete this circuit at least 2 times and more than 4 times to get a 10-to-20 minute workout. Complete this circuit at least 2 times & no more than 4 times to get a 10-to-20 minute workout. Do not use a weight that is so heavy where you have to strain, contort and twist your body just to finish a repetition. Walking Lunge for 25 yards or 10-15 repetitions on each leg. Complete this circuit at least 3 times and no more than 5 times to get a 10-to-15 minute workout. Guys: use moderate-to-heavy weights to maintain and/or get bigger muscles. Circuit training basically means… you'll be doing a series of different weight training exercises in a row without stopping. When you circuit train you get your heart rate up as you do the weight training exercises back-to-back without stopping. Pick 1 of the 5 Circuit training workouts at the top of this page and… You only need to do one of the above workouts for 10-to-20 minutes. To get a better workout make sure that you have everything setup before you start the circuit. Stopping in the middle of a circuit to setup equipment would defeat the purpose of having a circuit. The constant stopping to get equipment would take away the aerobic fat burning benefit. Circuit training or any other weight training workouts should be performed 2-to-3 times a week. Would you recommend wide grip upright rows instead of the db lareral raises? I have been eating right, 1500 calories per day and exercising using your workouts. I have lost 17 pounds since Dec 11th of 2013. The pounds are beginning to come off slower. Is there a way I can speed up the weightloss again. Any advice would be greatly appreciated. Thank you. Adrian I want to thank you for putting this workout on here. If it wasn't for this I would have stopped working out. I'm ending my third week of your training routines and I feel awesome. Just have a few questions. 1. The top of the page says 5 Total body circuit training workouts, but I only see 4. 2. How long before you see major change. what kind of workouts were you doing? I followed this workout i found now i'm thinking i should do insanity at 2am head to the gym afterwards and do weights at 3 if i can find another weight workout and for cardio do your treadmill intervals work out for 30 minutes then elliptical for 20 minutes what do you think..
1) exercise is NOT #1. If your diet is crap you will NOT get the results you want. you CANNOT "cancel out" a terrible diet with exercise. 2) this workout is garbage unless youre using heavier weight. Get pre workout. I use C4. it helps get you pumped and ready to work hard. 4) Fat loss workouts should be 'less' weight with more reps. still be pushing yourself with the weight but more reps faster. 5) less rest time in between. Try setting up 3-4 exercises at once. do all of them in a row before resting and count that as one set. 6) if youre doing all that cardio then make sure you are drinking PLENTY of water. 6) i dont feel like i had a good workout if im only working out for 30 mins. try to shoot for 45-60 mins of weights. 7) dont use sites like this. 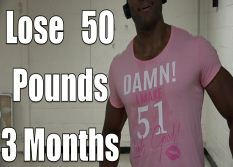 no offense to who ever made this video, but there is WAY too much rest time for this to be effective for weight loss. What is your diet like? Exercise is only half the battle when trying to lose weight. You must get your diet in check. I am 5 10 and 206 pounds. Circuit training for 3 days and weight lifting for 2 days... I just keep a constant 3 mile run everyday.. Please let me know if the above mentioned combination is good to follow or please suggest if it requires any modifications. Also, please note that all the above mentioned Fast weight loss and Total body Circuit workout routines have been taken from the ones which were suggested by you in your site/article. Hi Adrian....Thanks for the reply. so do you suggest I cut down the workout on Tuesday, thursday & Saturday and do my workouts only on Monday, Wednesday & Friday as per the routine I mentioned in my last post. Please suggest if the routine/combinations mentioned for Monday, Wednesday & Friday is good to follow. Great...shall do as advised Adrian. Once again thanks so much for the awesome content on your site and for your guidance...Shall get back to you once I see the results!! Your website's been extremely beneficial. I always come here for any type of help. One question. Do you mean I should perform a circuit workout for 10 to 20 minutes 2 to 3 times a week? That's it? Combined with a good diet, how much lose can I lose per week? so far i have lost 90 lbs from being preg-o. my goal weight is 140-145lbs, i now weigh 155lbs. my height is 5'7": before i was prego i weighed 180. i have a lot of loose skin in the mid section and a little everywhere else that i'd like to tone up and get firm, i think this would be my best bet, if you have the time to help me or show me the way to do so i would apperciate it very much. Thank you! I came across you article. I am currently in search of a personal trainer. I have had many issues with my weight - mainly loosing weight due to the fact that I have an auto-immune disorder. Regardless, I always find the strength and motivation to go to the gym, but I feel I am doing the wrong excercise. Some weeks I feel bulkier and more satisfied with my appearance. Other days, I feel too thin. Can you recommend any wonderful trainers in Miami or Broward - FL? Are you currently training? Thank you so much for this website, it sure helps :) I was wondering approx. 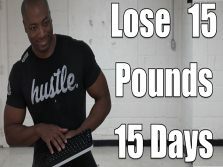 how many calories would be burnt when doing all the exercises in the 15 mins workout vid? I know that varies for everyone but is it closer to 100 or 500... a rough estimate would be nice, if possible. Thanks again! 1. DB squat: 15 reps w/ 8lbs dbs. 2. jog in place 90 sec. 3. oblique crunches - 15 reps ea side. 4. 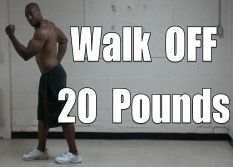 Jump rope (made motions with out a rope) 90 sec. 5. Bent-over DB row - 15 reps w/ 8 lb dbs. 6. Jumping jacks - 90 sec. 7. Upright rows w/ 5 lb dbs. had to go light, shoulder issues. 8. jog in place - 90 sec. 9. Tricep kick-backs. Standing up (bent-over) both arms at once. 15 reps w/ 5 lbs. 10. Jump rope - 90 sec. I did 3 circuits! Took a 2 min walk-rest in-between each circuit. 1st: 10 min, 2nd: 10 min, 3rd: 9 min. 29 min all together. I was sweating! Thanks! Hey buddy, you have some good information here. Thanks for making the effort to share your knowledge. It has helped me out! Do you have some workouts with resistant tubes that could shape me up pretty good in two months? I do not expect my total transformation in that time, but anything looks better than what I see in the mirror now. I want to work on my thighs and belly. you can but it really depends on what your goal is? Is it necessary to take rest days just for calf exercises or not? it depends on what you do for calves? Is the fourth one on this page a 10/10 interval workout?